I have been sitting on this gem for some time and I'm so excited to finally share. 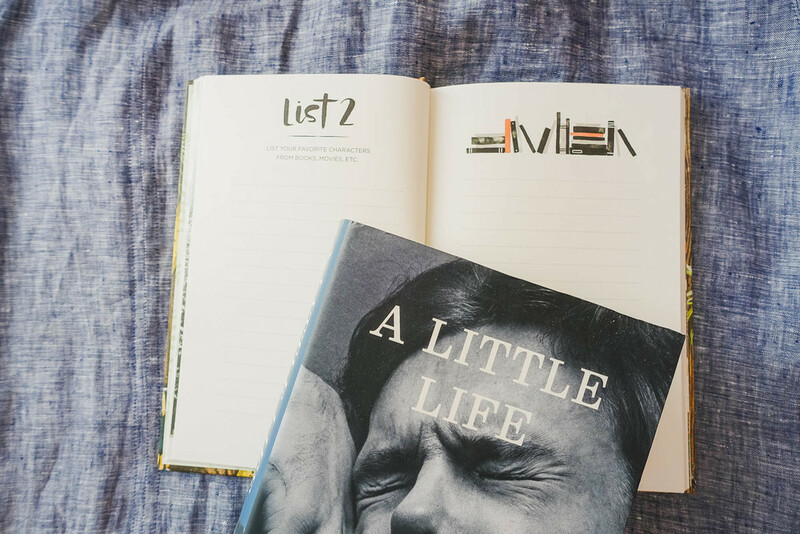 Friend, fellow blogger, and just all around inspiration Moorea Seal released her new book, 52 Lists Project. I knew when I was asked to review a copy I would like it. I didn't expect to love it so much. If you love Moorea's aesthetic, you will love this book. A couple years ago, she began her weekly lists post on her personal blog and dived into documenting what she loves, what challenges her, and what she thrives on. The readers were able to participate on their own and it became one of her most popular posts. Forward to today, it's now in hardback and it's so so beautiful. The details are what make the book- the thick pages, the gold trim and spine (imagine how beautiful it will look on your bookshelf), and the contents of the book may be slim since it's a diary, but they're powerful topics. I am kicking myself every year for not doing more scrapbooking. I want to do something a little more than journaling, I want to leave a little bit of a who I was, who I'm growing to be, and this is a good start. Below are some sneak peeks of what's inside. From List 2- List Your Favorite Characters From Books, Movies, Etc. I was reading A Little Life and I loved one of the characters so much, I had to write about him. List All The People Who Brighten Your Day. My husband tries so hard at cheering me up and rarely fails. List The Soundtrack of Your Life Right Now. Purity Ring's Another Eternity is the music playing in the background of my life since it came out. List The Difficult Moments In Your Past That Have Shaped You For The Better. My son Max changed my life. I feel honored to not only introduce 52 Lists Project Book, but one of my US readers will be winning a copy. Fill out the form below to enter. If you don't want to wait to win, you can buy it on Amazon or directly from Moorea Seal Shop. Giveaway ends in 7 days and winner will be chosen at random via random.org. Your email and information will be deleted and never shared once giveaway has ended. Good luck! UPDATE! Thank you everyone who entered. The winner is now emailed and if they don't reply within 2 days, I will try another winner.